(Omaha, Neb.) 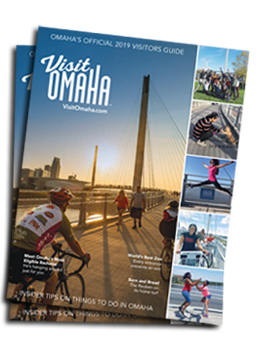 - FEBRUARY 9, 2017 - Omaha Children&apos;s Museum, 500 S. 20th St., set record attendance in 2016 with 316,915 visitors. The number reflects an increase of 10,000 general visitors to the museum from 2015, as well nearly 800 campers and more than 17,000 students on field trips. "The continued rise in the museum&apos;s on-site attendance is a testament to the power of our mission: To engage the imagination and create excitement for learning," said Executive Director Lindy Hoyer. "The excitement extends beyond young children, as we&apos;re now serving the whole family through unique events such as Tinkerfest, First Friday Family Date Nights and our adult night, A Haunting at Hogwarts." Many exhibits and events contributed to the growth in numbers. The temporary exhibit, Pirates and Mermaids: Voyage to Creature Cove, attracted more than 100,000 visitors from May to September 2016. The museum also added new permanent exhibits such as the Play Along The Platte water table and a new barn in 2016. The education department also created new educational programs including free offerings like Baby Sign Language. To request a photo or to set up an interview, please contact Kim Reiner, Marketing and PR Manager at Omaha Children&apos;s Museum, at 402-930-2356 or kreiner@ocm.org.